My experience spans over 25 years of performing and teaching every drumming style. Each lesson will include period of rudimental work, rhythm reading, and playing different styles behind the drum set. I believe in creating an environment that is focused on playing music well and where the student can have fun while gaining confidence. It is important to develop drummers into functional musicians with good technique, reading skills, and time. We will cover all styles of drumming from jazz to rock/pop, including funk, progressive, all of the Latin styles, even hybrid drumming and other percussion as desired. Mariano delivers an exceptional lesson experience and ranks in the top 15% of our teachers nationwide. My experience as a performer and teacher ranges from early music to today's rock and pop, including various percussion instruments from around the world. When studying for my bachelors and masters degrees in music, I did course work in music recording, jazz studies, and music history. In addition, I incorporate my knowledge of development, physics, and other sciences into my instruction. I can discuss playing music with beginners to professionals as we pursue opportunities in the music industry and education to develop functional musicians with creative outlets as students are able to explore any area or level of music. Some of my students have gone onto college music programs and high school programs such as OCHSA while others are enjoying playing music with friends. The goal is to take a student's excitement for music and percussion in a direction that will feedback into more learning and a drive to explore more styles of music. On drum set, I teach 3 basic areas of all drumming: rudiments, grooves (such as rock beats and Latin styles), and rhythm reading. I have started with students who have had no musical background and taught them to play a rock beat in their first lesson and the skills to read music with confidence thereafter. In percussion, my experience is wide and deep. I have studied and performed every era of music as well as done world music studies on Latin, African, and Asian music. It will be your choice on which path you wish to go down. Volume control is a key component to good drumming. 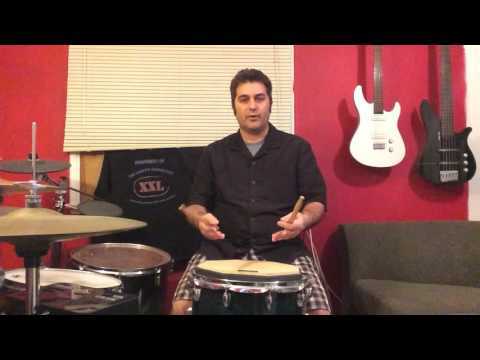 This video gives a basic understanding that can be applied to all percussion. 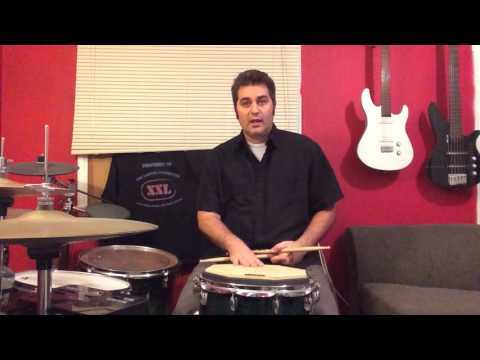 Understanding some basic physics can be a beneficial in playing percussion and rebound is essential to good technique.